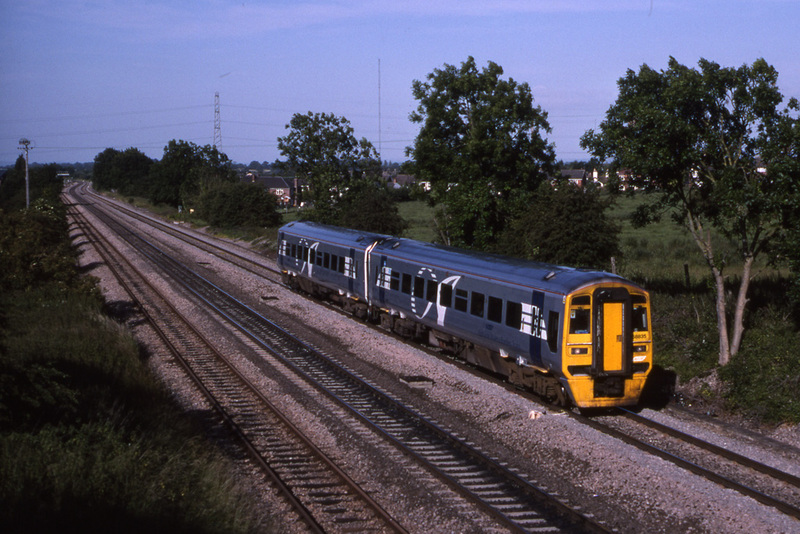 One hundred and seventy (172) two-car diesel multiple units of class 158 were built at BREL Derby during the period from 1989 to 1992. 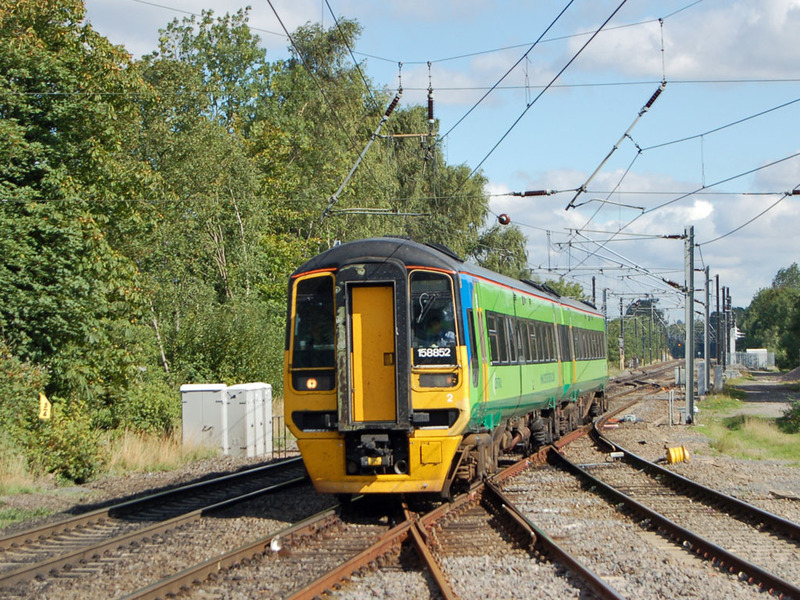 They can be found all across the UK railway network. This interesting photograph shows class 158 diesel multiple unit No.158815 in its original BR Provincial Express livery. 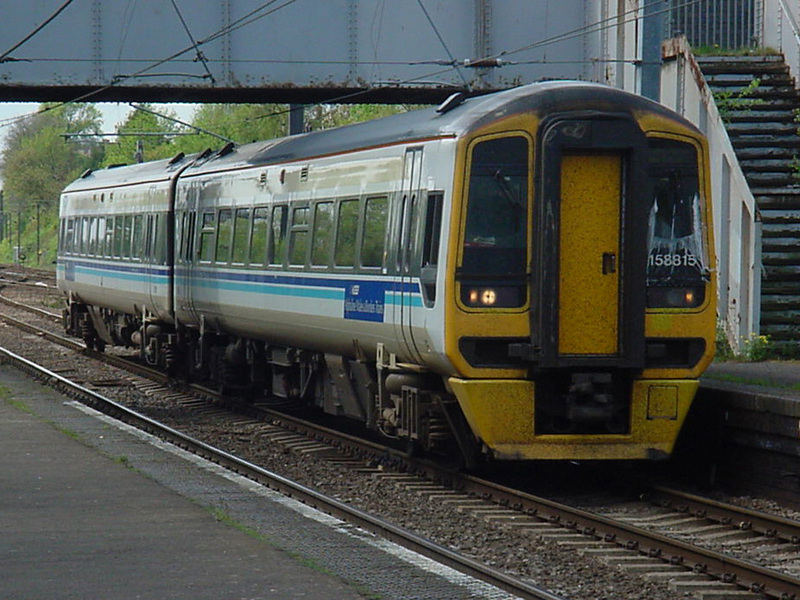 It was taken at Kings Norton Station on 25th April 2002. 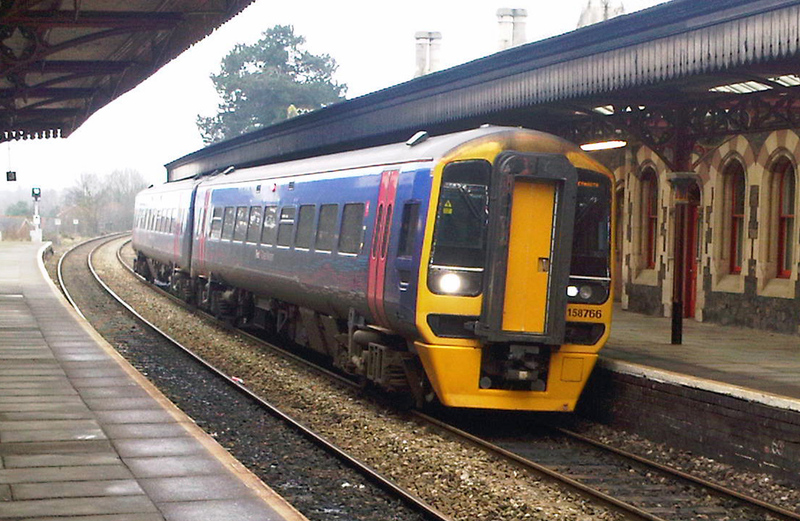 It is operating an 'Alphaline' service from Cardiff to Birmingham New Street for the Wales and Borders Trains train operating company as emblazened on the side of the unit. Photograph taken by Andrew Smith. On 28th June 2000 Robert Pritchard photographed class 158 diesel multiple unit No.158835 in 'Alphaline' livery and operated by the Wales and Borders Trains franchise. The unit is approaching Bromsgrove with the 06:05 service from Cardiff to Birmingham New Street via Cheltenham. 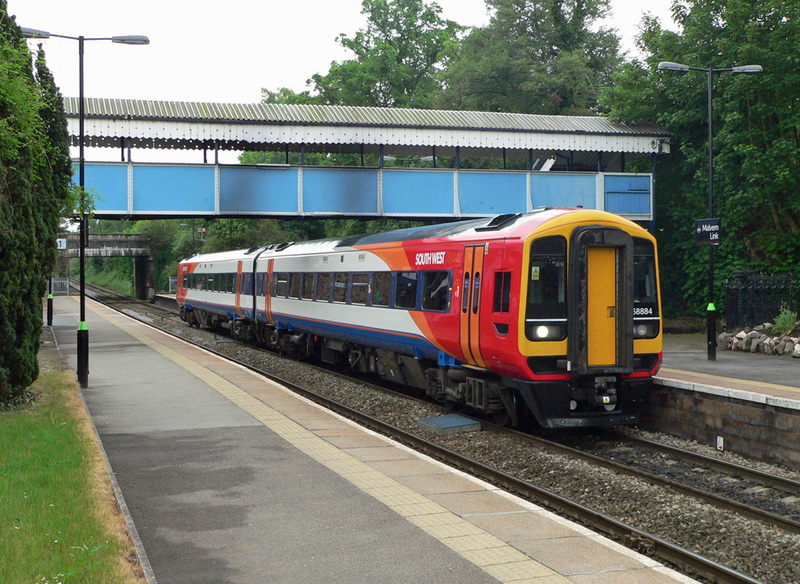 Class 158 two-car diesel multiple unit No.158852 in Central Trains livery was photographed at speed approaching Barnt Green Station on 7th September 2006. Photograph taken by Andrew Smith. Class 158 diesel multiple unit No.158854 approaching Bromsgrove Station with a service to Birmingham New Street on 24th September 2007. It has just passed Class 66 diesel locomotive No.66204 in the sidings awaiting the arrival of a banking engine and a path up the Lickey Incline. Photograph taken by Andrew Smith. 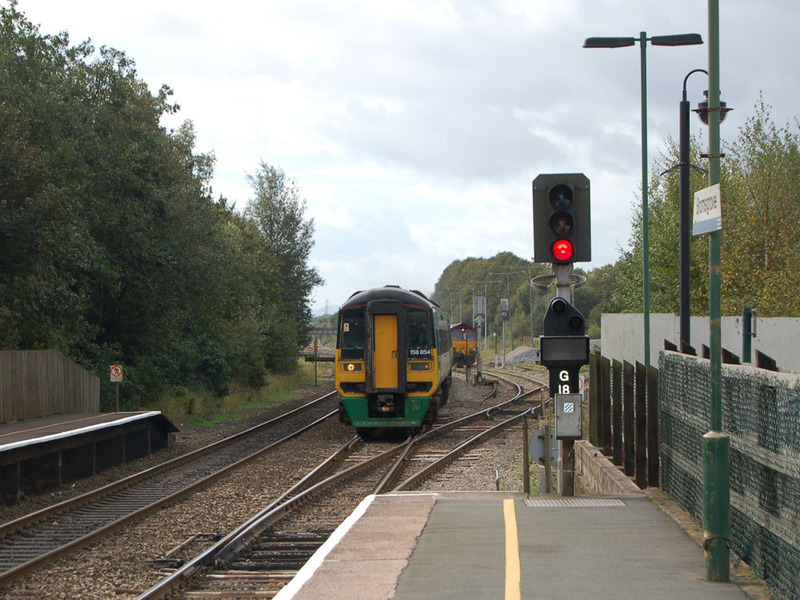 On 22nd February 2011 the 14:51 First Great Western service from Great Malvern to Weymouth was unusually formed of only two cars (as compared to the normal three-car set) when photographed awaiting right time. Photograph taken by Andrew Smith. On 7th May 2011 No.158884 had worked the (Saturdays only) 12:23 service from Southampton Central to Great Malvern and was photographed at Malvern Link with the returning 16:51 service from Great Malvern to Westbury. Photograph taken by Robert Cooke.